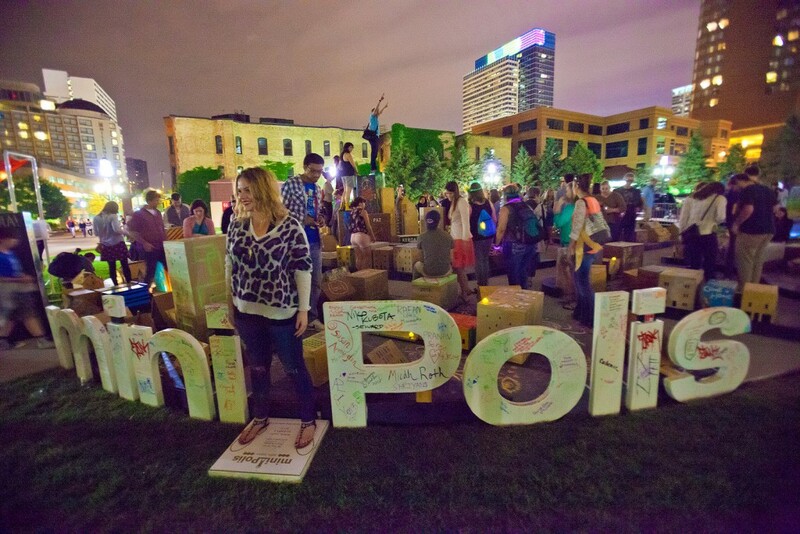 The 2015 winner for the Creative City Challenge, mini_polis, will debut at the Minneapolis Convention Center (MCC) Plaza on June 13 at 8:30 p.m. as part of the opening ceremony for Northern Spark, an annual dusk-to-dawn festival in Minneapolis with tens of thousands of participants. 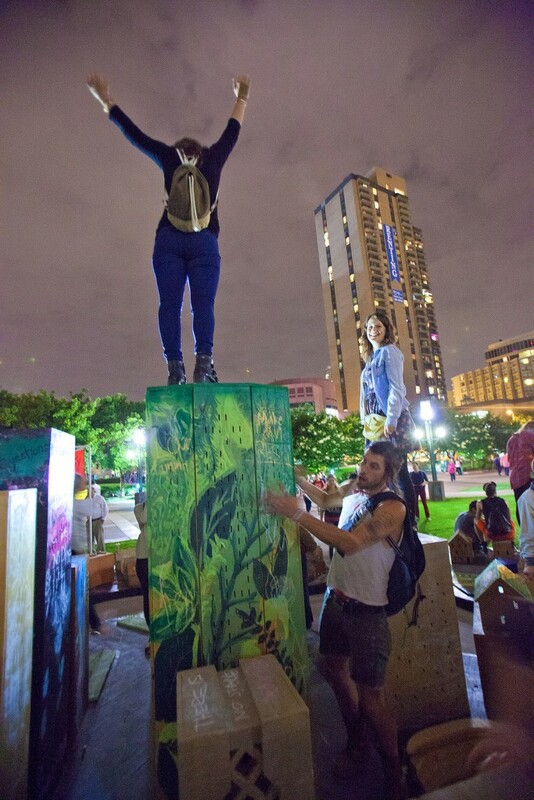 The public art work will remain on the plaza throughout the summer and be the site of the new Creative City Market on the second Thursday each month from July through September. mini_polis by Niko Kubota and team is a scale model of Minneapolis built in collaboration with community participants in a series of build workshops. The mini_polis team, led by local designer-educator-artists Niko Kubota, Jon Reynolds and Micah Roth, collected place-based hopes and memories at the workshops and created a multimedia interface within the finished city model to share these stories. 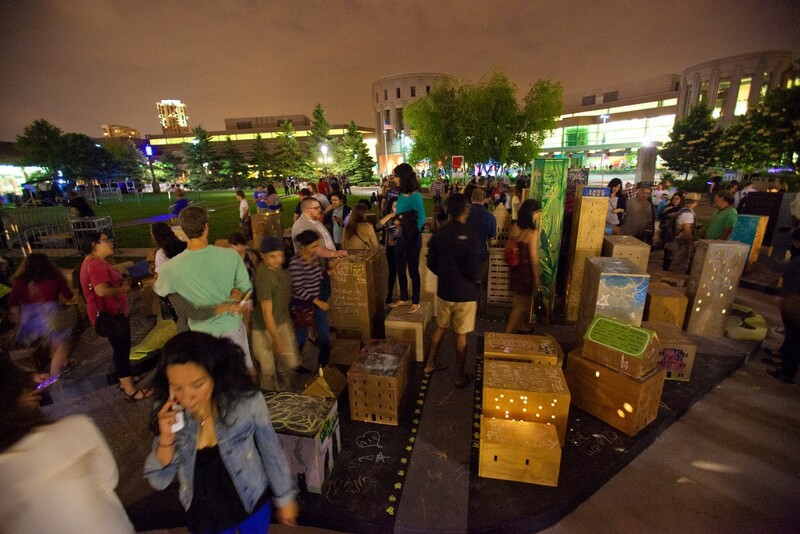 The completed mini_polis will be a landscape of lighted plywood buildings, laid out to approximate the Minneapolis downtown and surrounding neighborhoods. 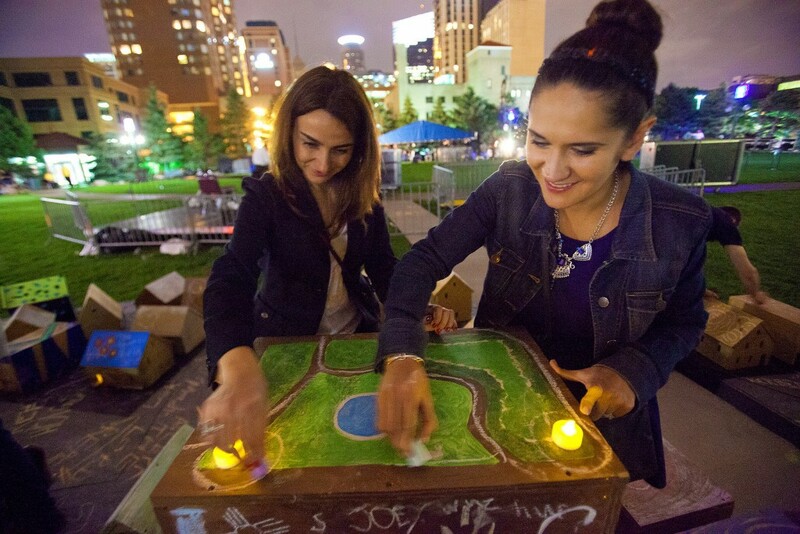 A multimedia interactive map station allows visitors to interact with installation: selected buildings will light up and play the model builders story, giving the viewer a peek into the experiences and hopes of a particular place they can now locate in their city. 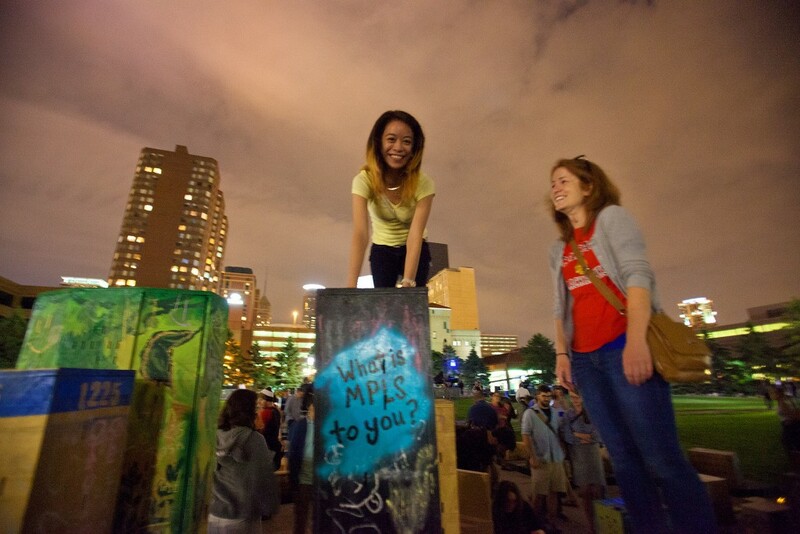 A selfie station will encourage visitors to photograph and share their pictures in front of the project. View more about the project and a brief video explanation here. Summer event programming has always been a part of the Creative City Challenge project and, this year, the Creative City Market will launch on the second Thursday, July 9, 2015, and continue on the second Thursdays the following two months on Aug. 13 and Sept. 10. The Creative City Market will be open on the MCC Plaza from 4 p.m. to sunset, and offer a variety of vendors selling unique locally made, affordable, usable products made by diverse communities in the city and region that are curated by The Musicant Group, food and Minnesota craft beer from the MCCs Craft Bar and Lounge will be for sale and there will be various entertainment and activities, as well as a place for visitors and residents to hang out and enjoy the views of Minneapolis and mini_polis. Event information will be available at here. See more photos of mini_polis on our Flickr page.